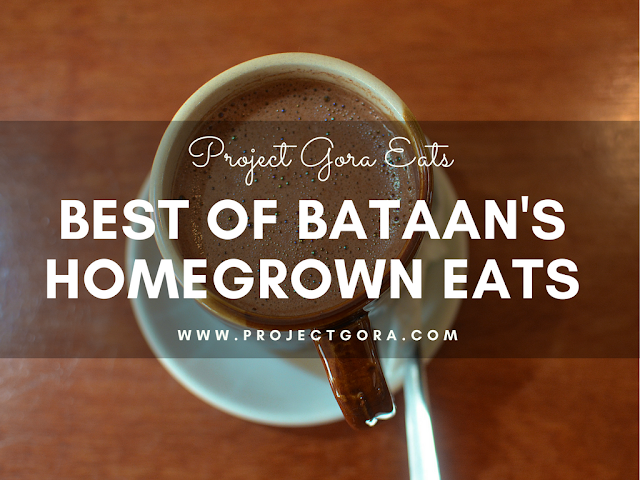 From classic favorites to the newest hangouts, there's something for everyone in Bataan. 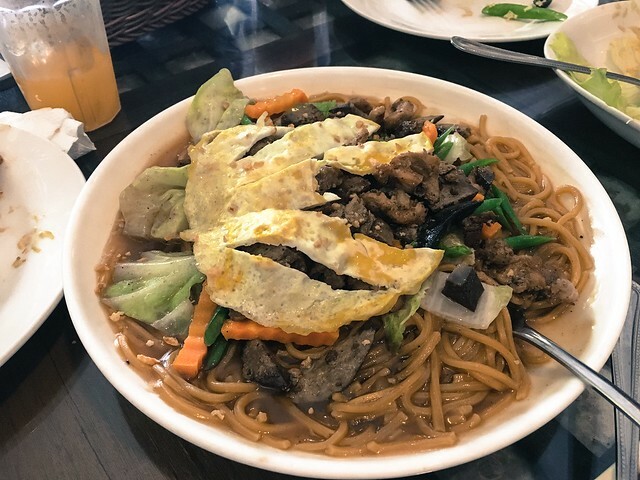 Food tripping in the province might not be popular yet, especially among travellers from Manila, but it’s an absolute must! 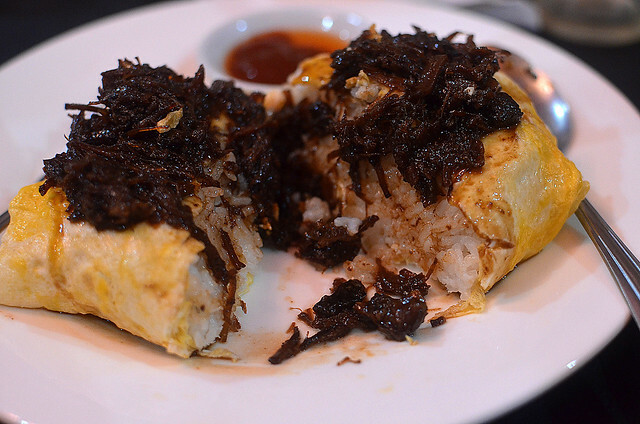 Check out some of the restaurants I have tried during my recent visit to the province. I will add some more in this list when I get back to Bataan soon! 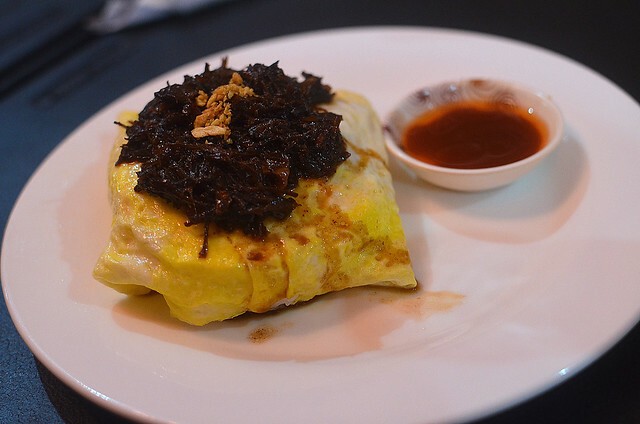 This tofu dish made by Angelitos Pizza and Restaurant is one of the best I've eaten! The mushroom sauce and other spices did not kill the taste of tofu. Absolutely loved it! 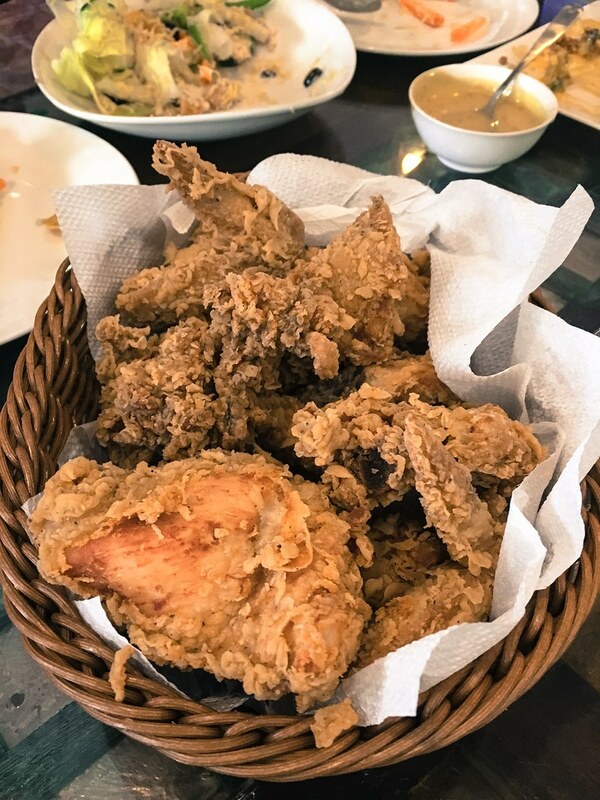 Fried chicken is the epitome of comfort food, and Angelitos offers one of the best tasting fried chickens in Bataan at a very affordable price. 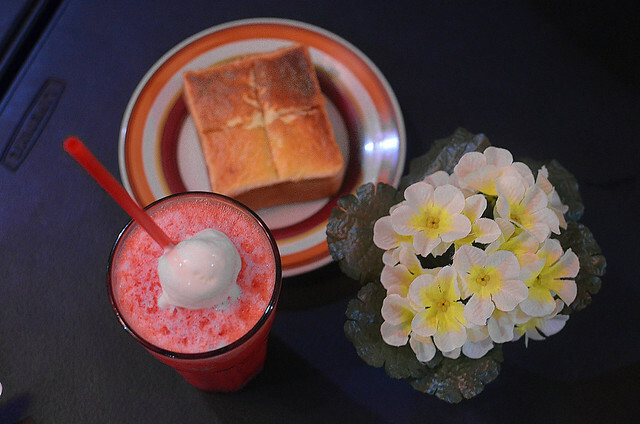 Saverde Coffee Shop's butter milk toast is a winner! I could not believe it only costs 20 pesos! Must-Try: White chocolate cherry cheesecake, carbonara and of course coffee! 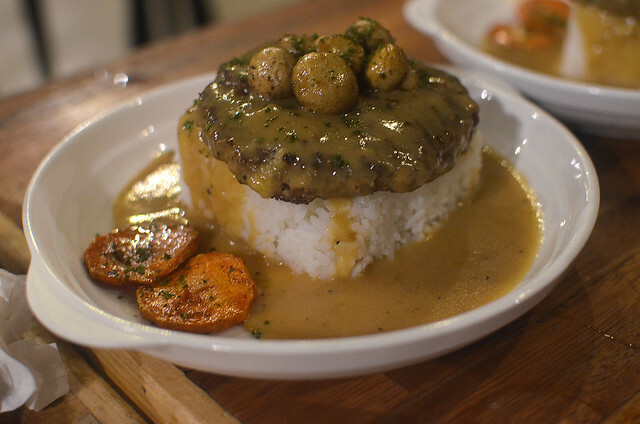 the Food Project's Salisbury Steak for only 89 pesos! THIS. 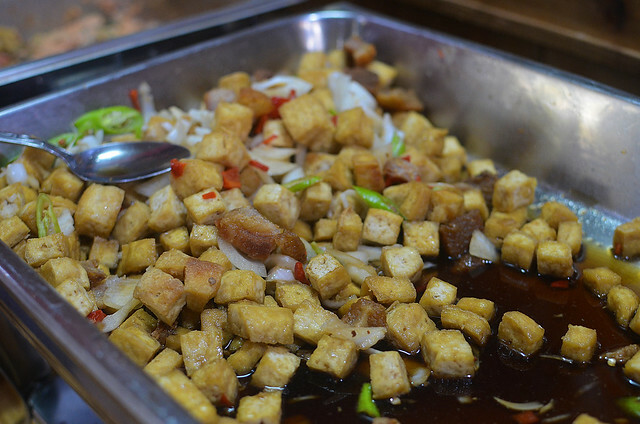 Ima Flora's Pamangan offers a delicious tofu dish perfect for inuman! 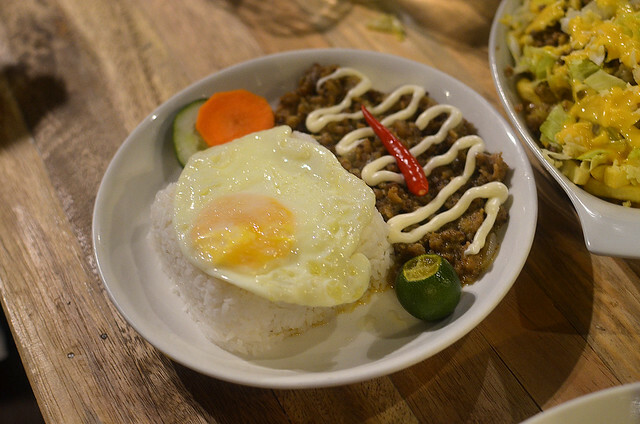 Ima Flora’s Pamangan serves a plethora of Filipino classic dishes. 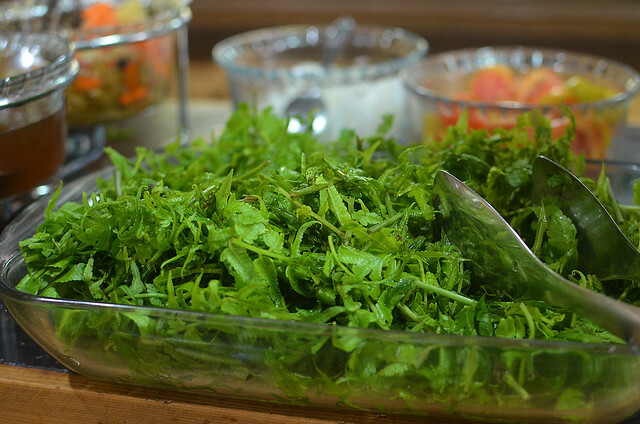 You can also create your own refreshing native salad made from pako (fiddle fern), tomatoes, eggs, atchara and onions. 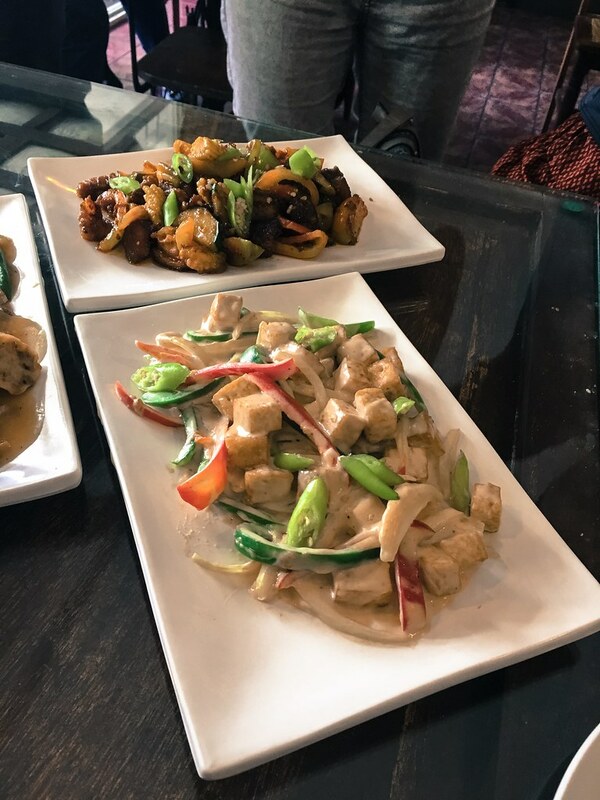 This post features some of the restaurants I have personally tried and some that are highly recommended by fellow travelers. If you know a local restaurant that you absolutely want to recommend, then you can comment below or send an email. 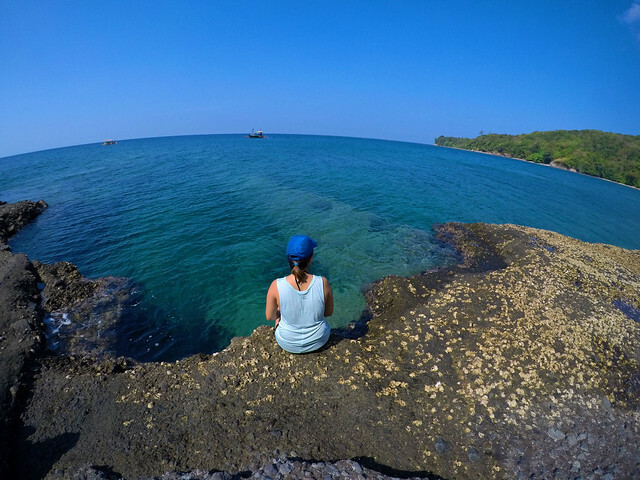 :) I truly hope this travel guide can help you in planning your trip to Bataan or hopefully influence you to visit right after reading this blog post! As always, thank you so much Bataan Tourism for making this trip possible! Hello everyone! I am back with another travel video, which is a concise way to update you all with my life! 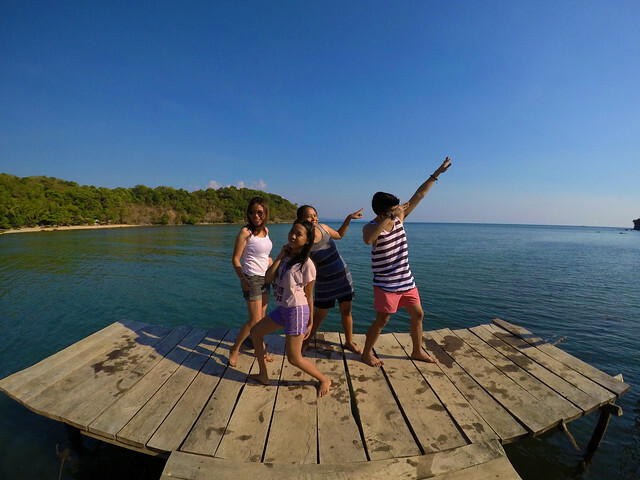 So as you might have known, I celebrated my 28th birthday with my cousins at Aroma Beach in Bagac, Bataan. I’ve always secretly wished that we get to go on holidays when we were kids and that wish came true a few weeks ago! Anyway, I won’t explain much. I hope you’ll enjoy this short video of our beach holiday. Make sure to watch in HD! 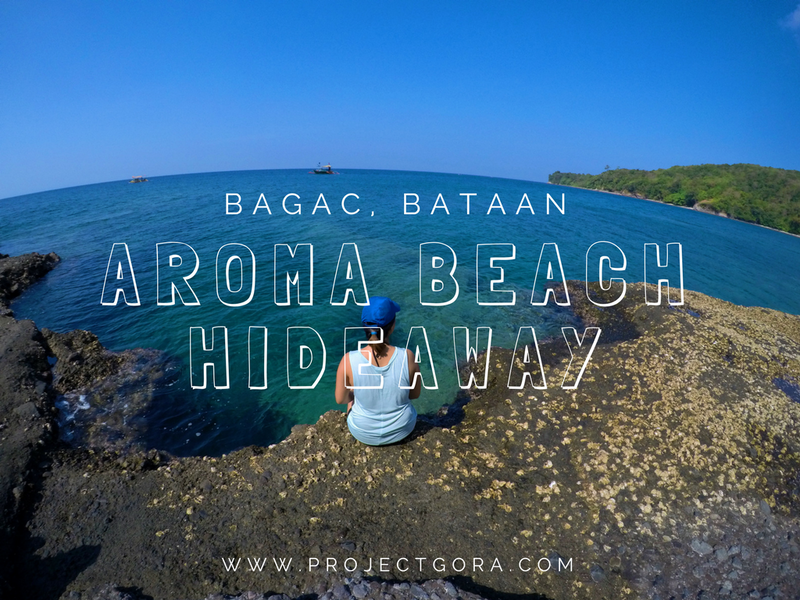 Aroma Beach Hideaway (Bagac, Bataan) from Project Gora on Vimeo. So, when my cousin Melisa asked me two months ago to take them somewhere in Manila, I immediately had an idea to take them in some other place. I was thinking of Boracay or Bohol, but tickets are crazy expensive during summer. Thankfully, I found Aroma Beach Hideaway in a blog post. When I saw the awesome photos of the beach, I knew this place will be perfect for us! But what sold us is the 1,800 peso package per person inclusive of meals and use of resort ammenities/facilites. Nothing to worry about during our stay. Yey! To get to Aroma Beach, we took a bus (Bataan Transit) from EDSA Cubao to Balanga, the capital city of Bataan. From there, we took a local mini bus to Bagac, the jump-off point to the resort. Then, we boarded a big boat with unconventional seats, which made us look like Señoritos and Señoritas. Lol! We arrived at around 12 in the afternoon at Aroma Beach. We could have arrived earlier if we did not stop for a photo op at Plaza Mayor de Ciudad de Balanga (Balanga Plaza). My cousins were very amazed because the plaza is Spanish colonial inspired and it looked like we were somewhere in Europe. It was not my first time there but I was still impressed with the plaza’s grandiose facade. 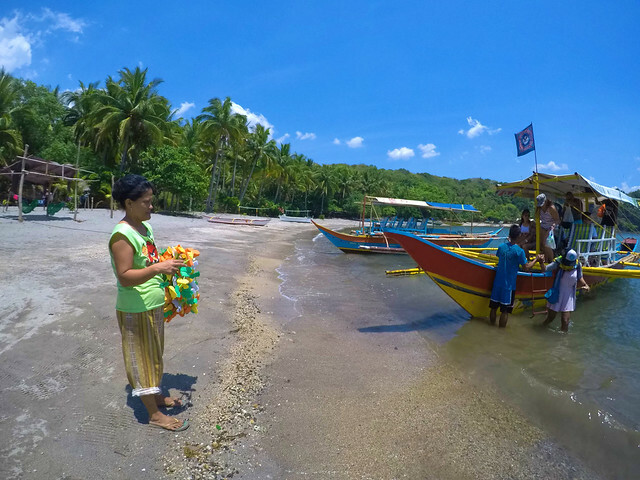 We were welcomed by Kuya Mike, who manages Aroma Beach Hideaway and Bataan Nature Adventure. We were asked to leave our bags at our beach-front nipa hut, which I specifically requested. Then, he told us to wait at one of the long tables while they were preparing our lunch buffet. They provided us guests with singkamas and bagoong to munch on while waiting. We were quite surprised with the food offering in Aroma Beach. 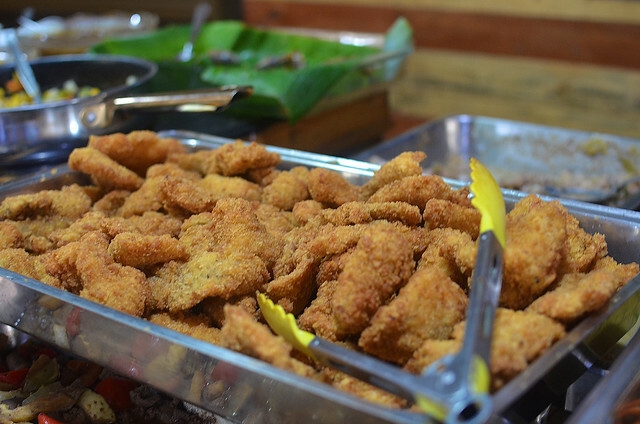 They do not hold out on food and they always make sure that guests are all full and satisfied. You can get as many servings as you want without feeling suppressed. J I also noticed the refills of the buffet food items are regular. When the staff sees an empty platter/tray, he/she will replenish it without you asking. The rest of the day was spent lounging at the beach, eating (we were served 2 meriendas and buffet dinner), playing volleyball, swimming and socializing. Bataan is located on the western coast of Luzon, so we did not get a full view of the sunset. We did, however, catch the red-orange rays of the setting sun from the other side of the cove. After dinner, Kuya Mike told us once again to gather at one of the long tables for the much awaited cocktail party. They served us hotdogs, marshmallows, fruits with chocolate dip and cornick (Filipino variant of corn nuts). My cousins and I were expecting a lot of booze that night, but it seemed not enough for all of us. Haha! I think the total guests that night was approximately 50. Our group, facilitated by Kuya Mike, played only one game (we all enjoyed this that’s why we continued playing for like an hour haha!). We played ‘category’, a popular pinoy drinking game. One player chooses a category and the next player chooses something that fits into that category. The game continues until a player repeats an answer given by another player. This person is forced/obliged to drink beer or liquor. It sounds easy but if you are a big group, then this game would require a bit of concentration. When the liquor ran out, my cousins and I decided to quit the game and play Jenga instead. We also bought San Miguel beer at the makeshift bar and waited for the clock to strike 12. Just like that, my cousin Melisa and I turned a year older. We have the same birth date. Yikes! After about 30 minutes, we were called to have breakfast wth the whole group. They served typical Filipino breakfast which includes fried eggs, tuyo (salted dried fish), longganisa (Filipino-style sausages), and sauteed onion and hotdog with ketchup. We were also served mint cucumber lemon juice, the best morning refreshment. I swear that drink was awesome! I probably drank 3 or 4 glass full of juice! At 9:30 in the morning, the whole group went to the other side of the cove for, guess what, cliff diving! 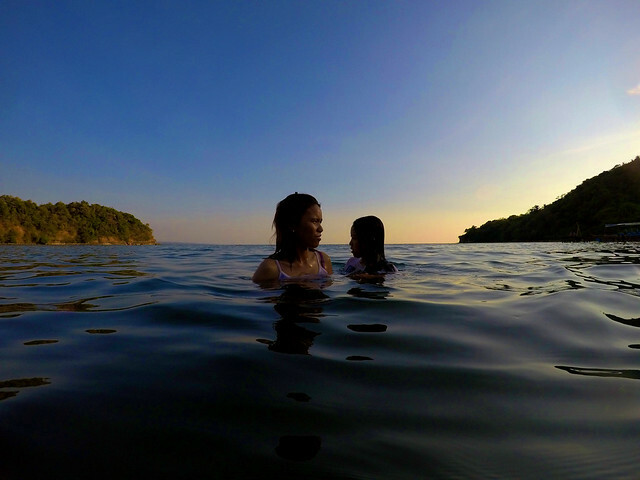 While the cliff diving spot in Aroma Beach is not comparable to that of Ariel’s Point in Boracay, it’s still a good place for people who love new or extreme challenges. 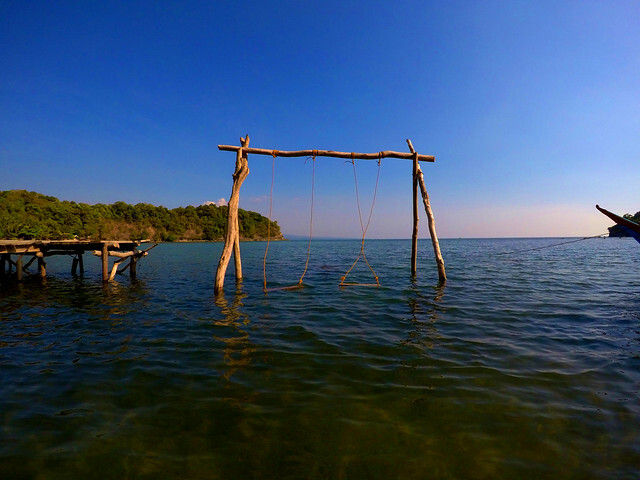 Currently, there are 3 cliff diving platforms ranging from as low as 1 meter to as high as 5 meters. 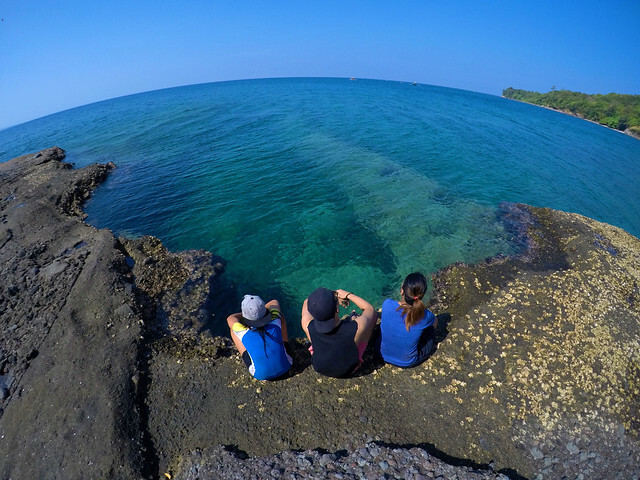 No need to feel pressured because no one will force you to cliff dive (maybe your friends hehe). You can just cheer or watch the other guests as they take the plunge. At 2 in the afternoon, we bid our farewell to everyone at Aroma Beach. I have grown very fond of the residents/staff of Aroma, especially the old grandma. Our group boarded the boat going back to Bagac. From there, we took a jeepney back to Balanga. When we reached Balanga Plaza, my cousin Peter and I took a bus going back to Manila. While Melisa, Ella and Nicole took a bus going to San Fernando, Pampanga. It was bittersweet. I just wish we could go on vacation again soon. - From the Five Star bus terminal in EDSA Cubao, take a bus (Bataan Transit or First North Luzon Transit) to Balanga, Bataan. One-way bus fare is 200 pesos. 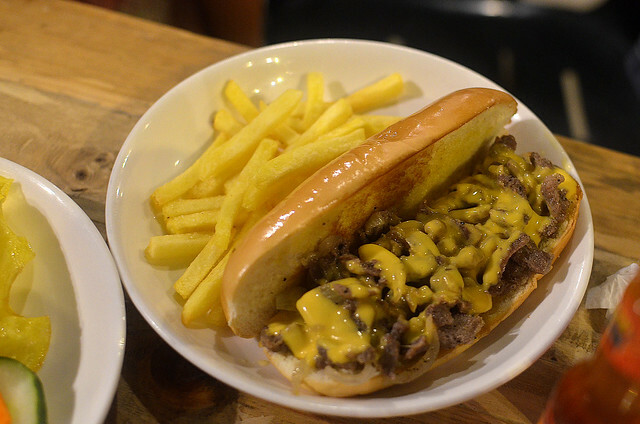 - From Balanga Central Terminal, take a jeepney or local bus to Bagac. One-way fare is around 50 pesos. 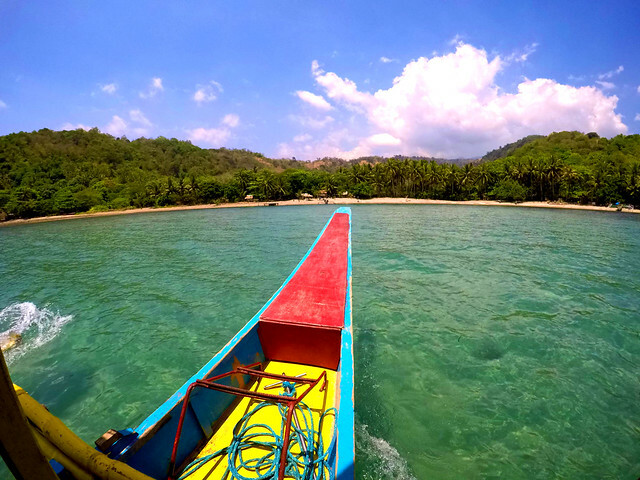 - Once in Bgy.Pagasa in Bagac, take a boat to Aroma Beach. Round trip boat fee is 200 pesos per person. - Free use of Volleyball, Frisbee, Darts, Bamboo Kayak, Tree house, River lunch tables, Papag Swing, etc. Is this blog post enough to convince you? Plan your summer getaway now before the hordes come! For more information, follow their facebook at Facebook.com/BataanNatureAdventures or contact Kuya Mike at (63)915-441-1875 or (63)928-856-8596.